These are the blocks that I have on my design wall today. When I was reading my list of blogs a few days ago, I went over to Ellen's blog, Little Jewel Quilts. I love her scrap quilts. They make good use of her scraps and many have strong diagonal lines that create a secondary design. Here is the link to Ellen's Leftovers quilt at Little Jewel Quilts. 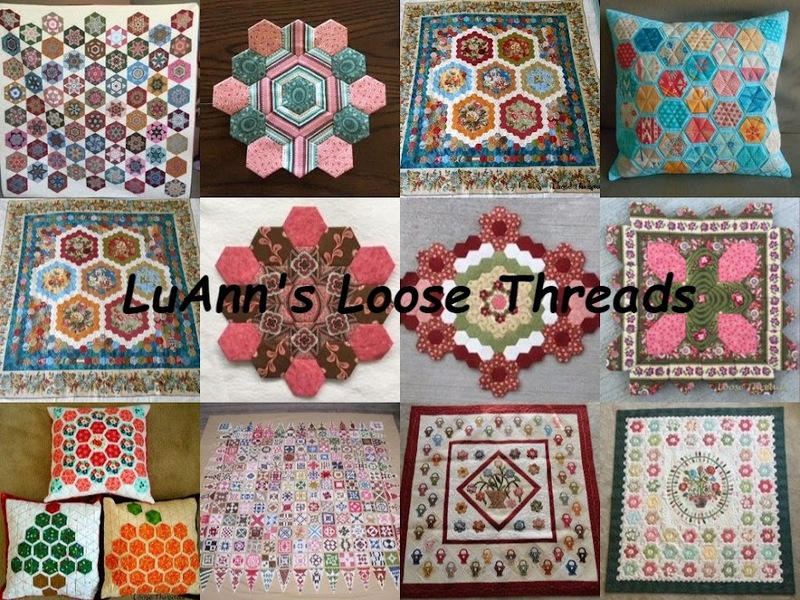 The original pattern for the Leftovers Quilt came from Lori at Humble Quilts. My blocks are made the same way as Lori's and Ellen's are, except that they used full squares where I have the white outlines in the photo below. I have 2 bags (2 1/2 gallon bags) full of 2 1/2" strips and have been looking for a scrap quilt idea to use them. So I made the Leftovers Quilt block using these 2 1/2" strips. 2 pieces 2 1/2" X 6 1/2"
2 pieces 2 1/2" X 4 1/2"
2 pieces 2 1/2" X 2 1/2"
Make 4 - 4 patches from the black and white strips using your favorite method. You can see the layout in the photo below. If you plan to chain piece several blocks at once, you can just make 2 of each unit below. I'm sure this isn't an original idea, but I wanted to include cutting instructions in case you have lots of 2 1/2" strips and want to make this block. I like the quilt design without a border. Stop by Patchwork Times to see what others have on their design walls today. Yesterday I met a group of friends and ran into a few other good buddies at the One Stop Quilt Shop Hop held in the Events Center in Kokomo, Indiana. There were 30 different shops with booths all under one roof filled with all kinds of quilt goodness. The patterns in the photo below are available at Quilts n Gifts in Bluffton, Indiana. This booth is from The Quilt Shoppe in Anderson, Indiana. There was a Christmas tree with the cutest ornaments back in the corner of the booth, but I couldn't get close enough to take photos. This pattern is available at Back Door Quilts in Greenwood, Indiana. This quilt and these metal barn (or house) quilts can be found at Rivers Edge Fabric Company in Shelbyville, Indiana. I bought a few things yesterday. The Kaffe Fassett fabrics are always hard to resist at Nancy Js located in Wabash, Indiana. The Red Button Quilt patterns were from The Back Door. I'll leave you with a chuckle. This is a T-shirt available at Zig-Zag Corner Quilts in Greenfield, Indiana. This is a better look at the 30s basket quilt that you saw in this post about Orca Bay. I keep a piece of white flannel on the twin bed that is in my sewing room. To be honest, there were so many threads on the piece of flannel that I tossed this little quilt down on the bed before I took the blog photo. I made this little quilt several years ago and just did a little echo quilting around the applique' flowers and then free motion quilting over the rest of the quilt. The binding is pieced from leftover strips. It measures approximately 35" X 42". Here is how it looked on the twin bed. I think it would make a nice wall hanging, and I could make a larger quilt in 30s fabrics for the bed. This is now my sewing room, and my sewing machine now sits along this wall. These are smocked pillows and are from either a McCalls or Simplicity pattern that my mother-in-law bought probably 30 years or so ago. She taught my sister-in-law and I how to make them. The pillows in the photo were made and given to me by my sister-in-law Gladys. She had started to crochet a granny square afghan and was tired of working on it. I took the bag of squares and yarn and finished the afghan for her. She gave me these pillows as a thank you. 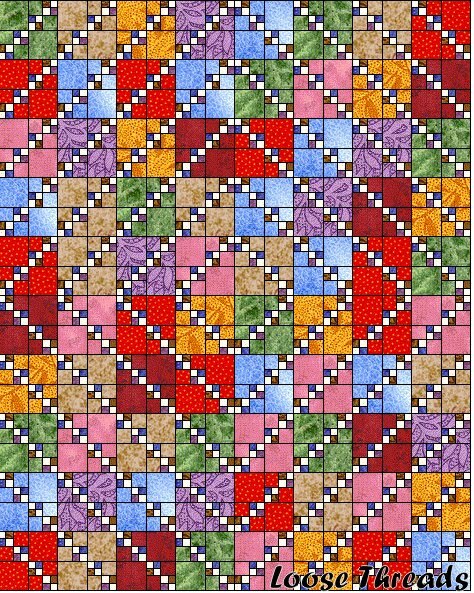 The pattern for this little quilt is from this Leisure Arts book. I hope you are all stitching today. I've been working on my knit mitered square blanket and have added a lot more photos and directions at the end of my original tutorial. Some people have had questions about the pattern, so I thought it was time that I clarify the directions and take some better photos. You can find the directions here. The link is also on my sidebar under Tutorials and Patterns. To take some better photos for my tutorial, I started these two scarves. The scarf on the left with the two mitered squares offset in a zig-zag pattern was my daughter's idea. I really like this scarf. I think the scarf on the right might end up being too wide so I might rework it to look like the scarf on the left. You can really do a lot with a basket full of leftover sock yarn. A lot of this came from trading with friends which I think makes a project extra special. I hope you will check out my tutorial. If you have any questions, please feel free to email me. After finding some hexagon flowers in a basket high on a shelf in my sewing room, I made a couple more this week. These hexagons will go into my Aunt Sarah quilt. This pattern is in Quiltmania Magazine No. 82. I posted about starting this quilt back in January 2011. I'm linking up to One Flower Wednesday hosted by Karen over at Journey of a Quilter. This Thomas the Tank Engine fleece blanket will be donated to our local chapter of Project Linus. I used the skip stitch rotary blade that I ordered from the Project Linus web site to perforate holes along the edges of the fleece to make it easier to crochet around. You can see in the background of this photo just how dry our lawn is and how the the trees are drying up and losing their leaves. As of today, we are under a mandatory watering ban. We haven't had rain in ages, and they are saying that it is dryer than it has been in 104 years. Our temperatures are cooler this week....only in the lower 90s instead of 100s. Remember the Orca Bay Mystery Quilt by Bonnie Hunter from last fall? This is what I have on my design wall today. I have been sewing some of the star blocks together this past weekend in hopes of getting the quilt top together soon. I am feeling a bit overwhelmed lately by the number of pieces of fabric in my sewing room. I don't mean pieces of fabric like fat quarters but pieces of fabrics that are cut into different width strips and others that could/should be sewn into quilt tops. It seems the strips that I have cut are never the right size, and if they are then they are the wrong color. I also have several bags of blocks that just need to be sewn into tops. Does this happen to any of you? This Orca Bay quilt has lots of pieces so I think it will seem like less in my sewing room if it is all sewn together in one piece. I really love all the string blocks in this quilt. My camera is one of my favorite quilting tools. I didn't notice the mistake in the one star block until I started looking at the photos to put in this blog post. It's been a long week here. The heat has been excessive, and there is no end in sight. I saw our thermometer go as high as 106 degrees a few days ago. We lost internet and phone for about 24 hours. The repairman said that it was probably too hot in our garage for the router boxes so he replaced a few connectors, and we were up and running again. Before I could get on the internet a storm blew through with lots of wind and very little rain, and we lost power for a few hours. Somewhere before that the motor in my vacuum cleaner burned up. All of that means that there was a lot more time to sew and crochet. I finished this quilt top last week. There are 2,080 pieces. This is truly a random scrappy quilt and really not my cup of tea. I'm not sure how I'll quilt it. With the blocks that I had left, I made a small table topper. I also stitched these crocheted granny squares together and have the borders almost finished. I have my flag table toppers and my red, white and blue knit dishcloth ready for our barbeque tomorrow. Happy July 4th. Have fun and be safe.